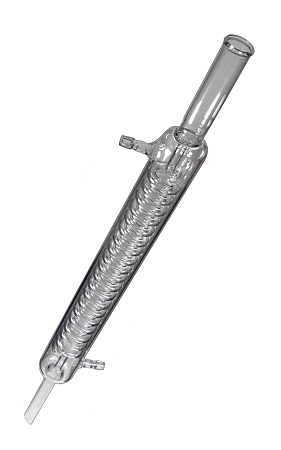 Graham condenser with coiled inner tube. Ends are not ground connectors. Made from high-strength borosilicate 3.3 glass.